Syria's Kurds are on a roll. The Syrian Democratic Forces (SDF), a loose coalition consisting primarily of the Kurdish People's Protection Units (YPG), and an assortment of Sunni Arab, Turkmen, Yazidi and Assyrian ethnic militias are steadily expanding west of the Euphrates River. In the last several weeks the SDF has taken control of the Menagh Air Base and several key villages to the north and west of Aleppo. More importantly, it is closing in on its long sought goal of uniting the Kurdish majority canton of Afrin in the west with the rest of the Kurdish controlled areas of northern Syria. The village of Tal Rifaat (Arpad), 24 miles north of Aleppo, is now held by the SDF. Tal Rifaat is only 28 miles from the town of Afrin. That town is on the border of the Kurdish controlled canton of the same name. The two villages are less than an hour's distant on Highway 62, which connects them. As the crow flies, they are only 15 miles apart. On Feb 15, the town of Kafr Naya, five miles southwest of Tal Rifaat, also fell to the SDF. In the meantime the SDF has cutoff Islamic State (IS) forces in Raqqa from the M 4 highway to the Turkish border; their primary supply line for smuggling and bringing in new jihadist recruits. They are closing in on the outskirts of the ISIS held towns of Manbij and Al Bab. The former has been a key logistical center for ISIS and was the center of its antiquities smuggling operation. Control of Manbij would also cut off IS forces in Raqqa from Islamic State territory in the northwest. They are also closing in on the town of Azaz even further to the northwest of Aleppo. That town was a key transit route for Turkish aid to the Free Syrian Army (FSA) in Aleppo until it was taken over by Syrian military forces earlier in February. In total, the SDF has seized control of a broad swath of territory from the Iraqi frontier to the zone immediately to the west of the Euphrates River. This region includes the cantons of Kobani and Jazeera. The SDF may be on the verge of taking control of the northern tier of Syria from Iraq almost to the Mediterranean. Kurdish/SDF militias claim they already control an area three times the size of Lebanon. The success of the SDF has prompted the Turkish Government to launch attacks against SDF forces in Syria; principally using T-155 long-range artillery along the Syrian-Turkish border to shell SDF positions near the Syrian town of Azaz. Turkey has also begun preparations to launch a ground invasion with the dual objectives of seizing the remaining territory between Afrin canton and the SDF forces advancing from the east, as well as coming to the aid of the besieged Free Syrian Army (FSA) in Aleppo. In the meantime, Russia has firmly aligned itself with the Kurdish YPG and the SDF. In recent weeks the Kremlin has hinted that it would support Kurdish plans to organize the autonomous state of Rojava (Western Kurdistan). Russia has also insisted that, against Turkish opposition, the Kurds be included in the Geneva talks. Russian air forces in Syria have also been providing air support for SDF forces, although the extent of that support is unclear. Russia's support of Syria's Kurds has opened up yet another fault line in the Byzantine politics of the Syrian Civil War. 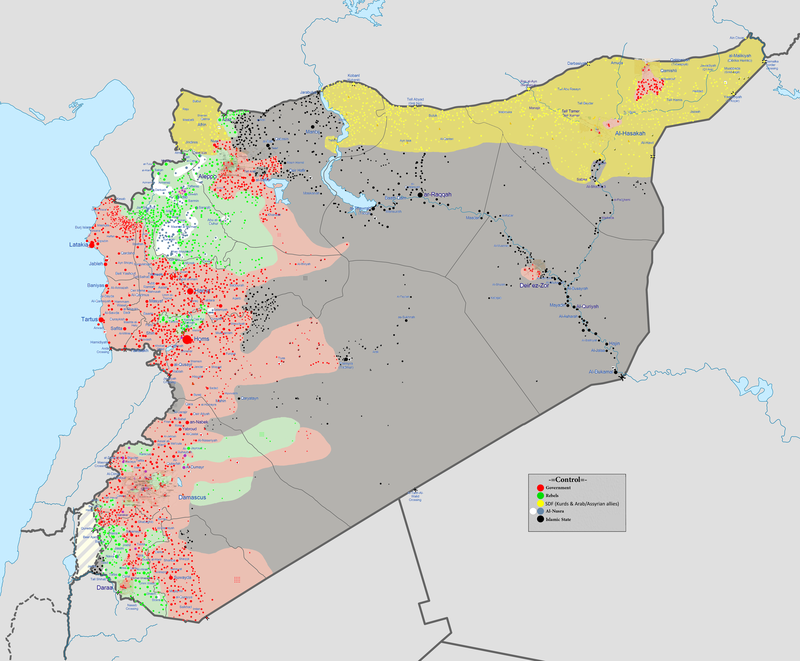 While that fault line is not a particularly new one, the advance of the Kurdish led SDF along the Syrian-Turkish border, and the possibility of a Turkish ground invasion in response, has intensified it, threatening to spill the Turkish-Kurdish conflict in Syria into Turkey itself and risks reigniting the long simmering civil war in Turkey between the Turkish government and its ethnic Kurdish citizens. It has also raised the prospect of a direct military clash between Turkish troops and Russian air power. From Washington's standpoint, the continuing conflict between Turkey and the Syrian Kurds has vastly complicated its campaign to roll back the Islamic State in Syria. Increasingly, both parties are pressuring the U.S. to pick sides--a no win situation for Washington. Initially, Turkish support for U.S. military operations against the Islamic State in Syria was predicated on an American promise that Washington would not support the Syrian Kurds or their attempts to carve out an autonomous Kurdish state in northern Syria. 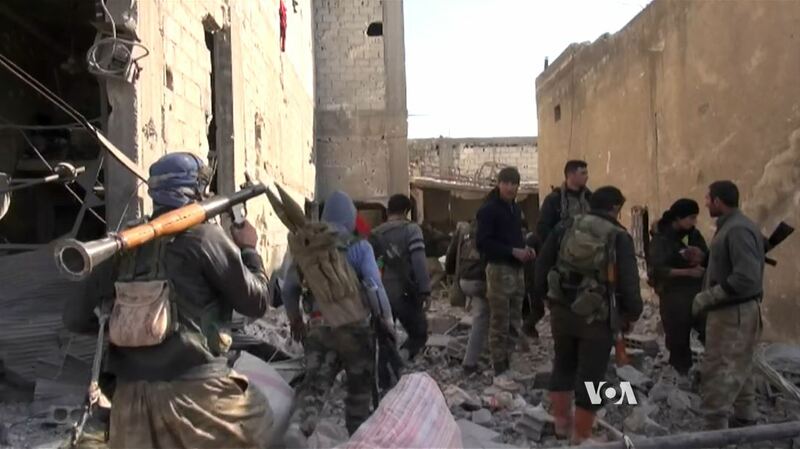 American efforts were, in fact, originally focused on supporting the Free Syrian Army and those Islamist and rebel groups that the U.S. had identified as being "moderates." That program failed, despite the expenditure of over $500 million, to train an effective ground force which Washington could support. That orientation changed in late 2014, when Washington deployed U.S. air power to assist Kurdish YPG and FSA forces to resist the siege of Kobani by IS militants. Since then, the YPG, and subsequently the Kurdish organized SDF, supported by U.S. air power, has emerged as an effective ground force in the battle to roll back the Islamic State. Despite Turkish pressure, the U.S. has been unwilling to sever its ties with the SDF and the YPG, seeing them as the only effective ground force with which to combat Islamic State in Syria. The U.S did briefly bow to Ankara's demands and suspended air support for the SDF when it crossed the Euphrates and began its attack on the Syrian border city of Jarabulus in December 2015. Air support has since been restored. On the other hand, Washington needs Ankara's support, and the continued use of the Incirlik Air Base, for its military operations in Syria. Turkey's status as a member of NATO, and its key role in trying to stem the floodtide of Syrian refugees into Europe, further complicates the situation. 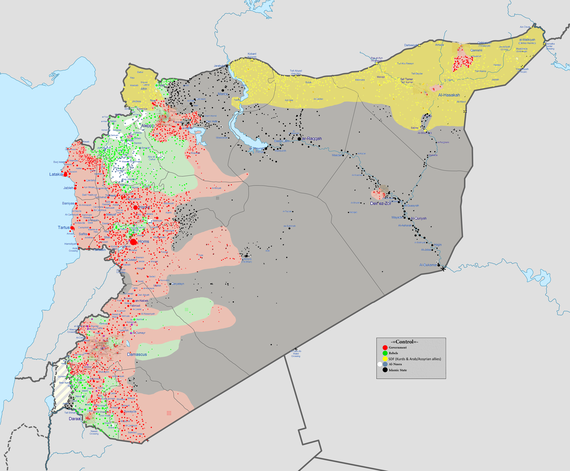 Although the SDF alone is likely both incapable and unwilling to entirely roll back the Islamic State, and even though its operations in predominantly Sunni Arab areas of Syria will cause renewed frictions between the Kurdish dominated SDF and Syrian Arabs, it can play a major role in seizing control of the border areas along the Syrian-Turkish frontier. Doing so would cut off IS from its supply lines and smuggling routes into Turkey and significantly weakening the Islamic State's ability to wage war. 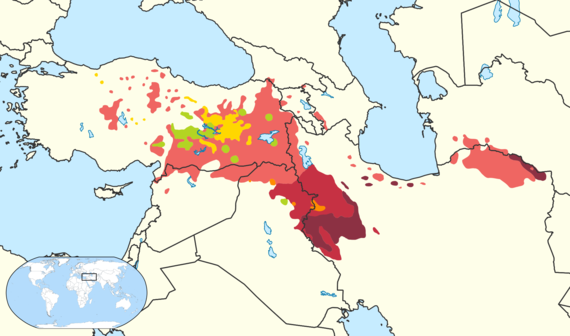 This region, an area with a predominant, although not exclusively, Kurdish population, could, however, form the core of an autonomous Kurdish state in Syria. Syrian and Turkish Kurds have already demanded that the international community recognize this region as the autonomous state of Rojava, or Western Kurdistan in the Kurdish language. The designation "western" differentiates it from the semi-autonomous Kurdish self-governing region in northern Iraq. For Turkey an autonomous Kurdish state along its southern border is anathema. Ankara fears that such a state would intensify the efforts by Turkey's own Kurdish population for a semi-autonomous state within Turkey itself. This effort was the subject of a long running civil war between the Turkish government and the Kurdistan Workers Party (PKK). The PKK led a long-running campaign of domestic violence against the Turkish government and military from 1978 to the present. Despite a number of cease fires, the most recent in 2013, the conflict has continued and since the outbreak of the civil war in Syria has intensified dramatically. The historic conflict between Turkey and the PKK has resulted in casualties of around 30,000 dead or wounded combatants as well as civilian casualties in excess of 36,000 people. In addition, the PKK claims that the Turkish government has destroyed approximately 2,400 Kurdish villages and approximately three million Turkish Kurds have been displaced. Independent estimates of the casualties are much higher, with claims that more than 18,000 Kurds have been executed by Turkish authorities, in addition to the ones killed in the fighting, and that a further 17,000 Kurds are missing and unaccounted for. In addition, Turkish Hezbollah, a mainly Turkish Sunni Islamist militant organization, has been waging a war against both the PKK and the Turkish government in the same region. The actual number of casualties is unclear and may never be known. Turkey's objectives in the Syrian Civil War are, in order of priority, to prevent the formation of an autonomous Kurdish state along its southern border, to overthrow the Assad regime and replace it with a Sunni dominated government, and to defeat the Islamic State. On the latter point, Ankara has been somewhat ambivalent and has been willing to support the Islamic State and to allow IS supporters to transit Turkey to reach IS controlled regions of Syria, while turning a blind eye to the involvement of Turkish companies in participating in the smuggling of oil and antiquities from Islamic State controlled regions of Syria when such actions advanced its first two goals. U.S Special Forces operating in Syria have obtained considerable evidence of widespread Turkish involvement in support of Islamic State. The most recent, well publicized example, resulted from a raid on the compound of the Islamic State's finance chief, Abu Sayyaf, in May 2015. The raid led to the death of Sayyaf, the capture of his wife, Umm Sayyaf, and the recovery of a cache of documents and computers which, according to intelligence sources, indicate that the Turkish Intelligence Agency, MIT, was fully aware of the Islamic State's smuggling operations, the Turkish companies participating and may even have facilitated the smuggling. 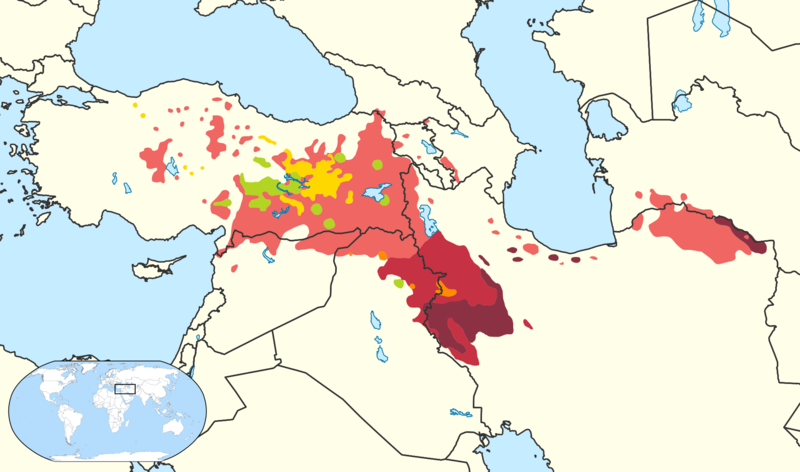 The historic Kurdish region covers northern Syria, southeastern Turkey and northern Iraq, with some spillover into northwestern Iran and the southern Caucasus. In the subsequent reorganization of the former Middle East territories of the Ottoman Empire that followed the end of World War I, there was even some discussion of creating a Kurdish state. The Treaty of Sevres which brought an end to hostilities with the Ottoman Empire and which subsequently dissolved it had stipulated the organization of an autonomous Kurdistan region. This region only included Kurds living in Turkish Anatolia however and did not include Kurds living in the French and English mandate territories of Syria and Iraq. That treaty was never implemented however and was subsequently replaced with the 1924 Treaty of Lausanne. The Lausanne treaty dropped any reference to an autonomous Kurdish state. Although the Kurds living in this historic Kurdish region share a common language, culture and ethnicity, it would be a mistake to assume that they share a common political agenda. 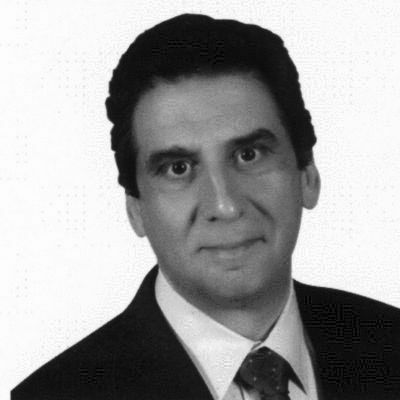 Politically, the Kurdistan Regional Government (KRG) in Erbil has aligned itself with the United States and has sought American armaments and support in its long-running disputes with the Shiite dominated government in Baghdad. The YKK, historically a militant leftist organization, had, on the other hand, long-standing ties to the Soviet Union. Both Turkey and the United States have classified the YKK as a terrorist organization. Ankara considers the YPG an arm of the YKK and wants Washington to also classify it as a terrorist organization. To date, however, the U.S. has refused to do so. 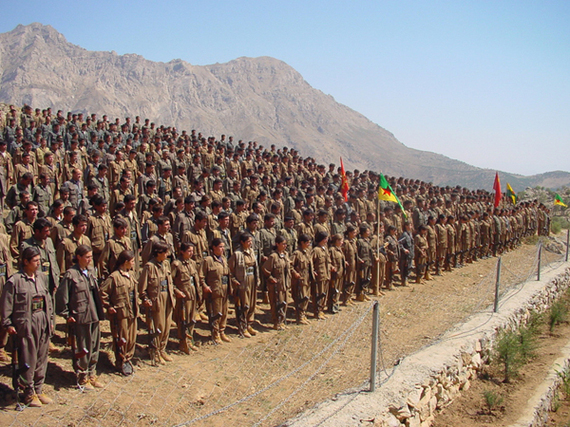 The Kurdish Democratic Union Party (PYD) is the political offshoot of the PKK that operates in Syria. The YPG is the militia organized by and aligned with the PYD. The Peshmerga on the other hand, are the Kurdish militia organized by the KRG in Iraq. The Peshmerga have generally stayed out of the fighting in Syria although they have from time to time lent support and military supplies to the YPG; most notably during the siege of Kobani. Although the KRG has supplied bases to the YKK in Iraqi Kurdistan, and provided support to the YPG, it has also tried to maintain good relations with Ankara. The KRG is dependent on Turkey as an alternative supply route to the Baghdad controlled oil export infrastructure for the sale of the oil it produces. Turkey, notwithstanding a number of attacks on PKK bases in Iraqi Kurdistan, has also attempted to cultivate good relations with the KRG. For Ankara, its dealings with the KRG are a way of reducing Iranian influence in Iraqi Kurdistan, as well as giving it some leverage in dealing with Baghdad. Not surprisingly, the PYD and the YPG has been very adept at playing off Russia and the United States, threatening to align itself completely with Russia if the U.S. withholds support in response to Turkish pressure. For Washington, the "loss" of the YPG and the SDF would deprive it of the one ground force that has proven to be effective against the Islamic State. It would also deprive U.S. air forces of the one role, close ground support, where it has proven to be most effective. Air missions against Islamic State targets and in support of U.S. Special Forces operating in Syria, would, however, continue. The autonomous Kurdish state of Rojava would allow Erbil an alternative route for exporting its oil. This option would require the construction of an oil pipeline along Syria's northern frontier and sufficient military control to insure its security. Neither objective would be easy or is quickly achievable. In addition that pipeline would need to transit either Turkish or Syrian soil for its final stretch to access the Mediterranean. What happens next? Turkish foreign policy is in shambles. 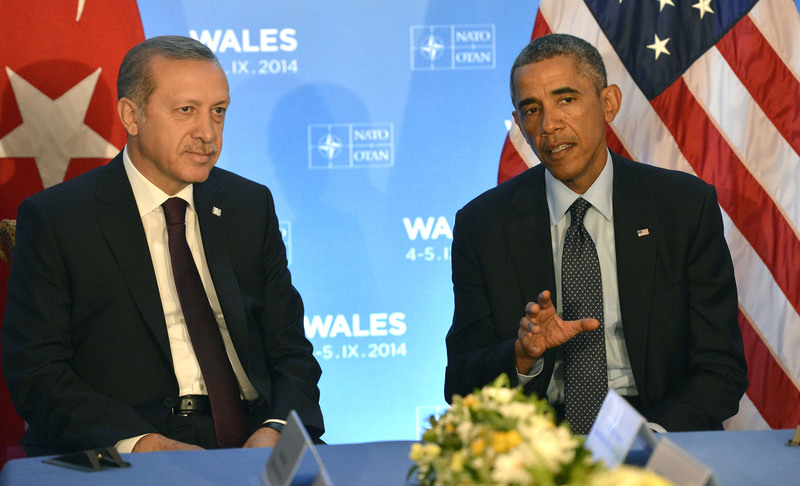 Erdogan's attempt to position Turkey as the leader of the Sunni world is failing. Instead Turkey finds itself in a growing conflict with Russia, a conflict that if Turkey invades Syria could erupt into a direct military clash between the two countries. Such a clash could well, according to Russian Prime Minister Dmitry Medvedev "draw everybody in" and might lead "to a new world war." The latter is a bit of an exaggeration, but the prospect of broader fighting is a very real threat. Ankara's ambivalence in fighting the Islamic State, and its single-minded determination to prevent the creation of an autonomous Kurdish state in Syria, is bringing it increasingly into conflict with the United States. In addition, Turkey's inability to stem the tide of Syrian refugees, at the very least, those that are transiting Turkey's frontiers, is bringing it into conflict with the European Union. By aligning itself with the Syrian Kurds, while simultaneous supporting Syrian armed forces against the Free Syrian Army and the various Islamist organizations in the civil war, Russia is singlehandedly changing the reality on the ground in Syria. That does not mean that Bashar al-Assad will survive in Syria. Ultimately, the Kremlin may decide that its interests in Syria will be better served by having someone else at the head of the Syrian government. It does mean, however, that whatever government emerges in Syria will be one that is acceptable to Russia and which the Kremlin can rely upon to protect Russian interests there. International peace conferences notwithstanding, the future of the Syrian government, and who will lead it, will increasingly be settled in Moscow. The Obama White House, on the other hand, finds itself playing an increasingly weakening hand. American air power and Special Forces alone are insufficient to either destroy the Islamic State or change the situation on the ground for the anti-Assad forces. Its only effective proxy in Syria, the SDF, is unable to completely rollback the Islamic State and its continued expansion, with American support, along the northern portion of Syria will further complicate America's relations with Turkey. Washington's ability to intervene with financial and military support to shape the outcome of the Syrian Civil War has long since dissipated. Indeed, it is hard to escape the conclusion that the Obama White House's policy in Syria at this point consists of little more than keeping a lid on things for the next 11 months and leaving the problem, a situation which it did not start but which it certainly exacerbated by an ambivalent and inconsistent policy, for the next president to solve. In the meantime the Kremlin pushes ahead with its plans for Syria.